Right side of our home on the SIDE WALK, there is a black vehicle with hood is partial open i believe it's not running for more than a week partially blocking our driveway but able to go in and out....PLEASE have it remove it thanks. OAK 311 has received this issue. Your service request ID is #897481. Please check back for status updates, or contact us directly at 510-615-5566. On the right side of our house on the street.. there is black vehicle with front end damage without license plate....it's been parking over a month. OAK 311 has received this issue. Your service request ID is #897478. Please check back for status updates, or contact us directly at 510-615-5566.
the Jeep Chrerokee has been parked and immobile on the street for over 3 months. OAK 311 has received this issue. Your service request ID is #897372. 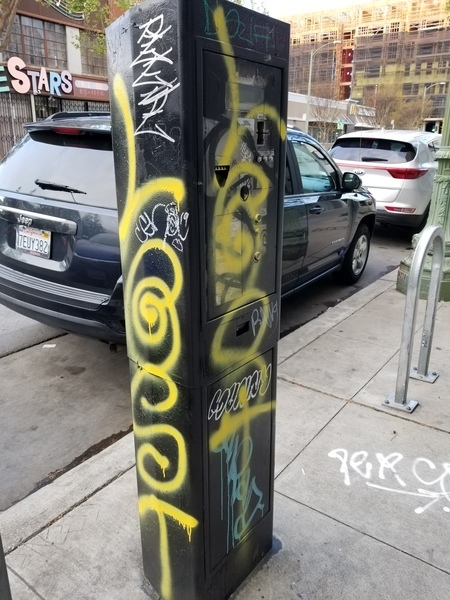 Please check back for status updates, or contact us directly at 510-615-5566.
the parking signs that indicate street-sweeping time frames have been totally defaced with spray paint and are illegible. This is particular to signs on 78th Ave between MacArthur Blvd and Hillside Avenue. OAK 311 has received this issue. Your service request ID is #897374. Please check back for status updates, or contact us directly at 510-615-5566. 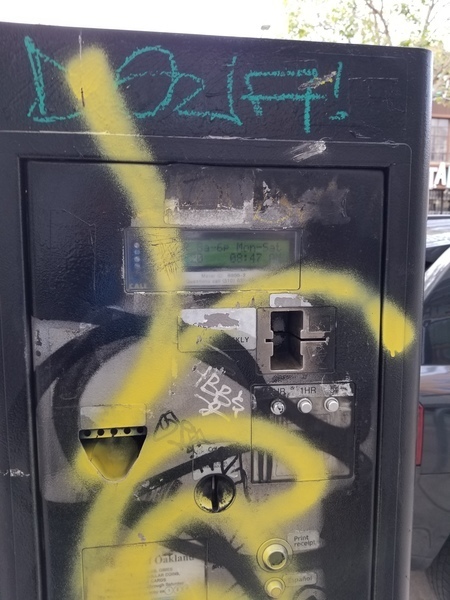 Also paying station on 160 14th st needs attention. OAK 311 has received this issue. Your service request ID is #897148. Please check back for status updates, or contact us directly at 510-615-5566. OAK 311 has received this issue. Your service request ID is #896643. Please check back for status updates, or contact us directly at 510-615-5566. What’s taking so long for these vehicles to be moved? OAK 311 has received this issue. Your service request ID is #896738. Please check back for status updates, or contact us directly at 510-615-5566. Please stop this before it become bigger. If the city doesn't address this get your neighbors involved. Ask them to join OAK 311 at the very least. There is a tow truck that has been dumping these vehicles in this area. OAK 311 has received this issue. Your service request ID is #896808. Please check back for status updates, or contact us directly at 510-615-5566.